It’s official: Martin Jacobson is the 2014 World Series of Poker Main Event champion! The Swedish professional poker player was the chip leader after Day 1-A which took place way back in July. Yet, he entered the final table Monday ranked in eighth place out of the nine remaining players. That's when he performed at his very best, taking one of the shortest stacks all the way up to a memorable finish and an eight-figure payday. The fact that nothing came easy made the ultimate triumph all the more satisfying for Jacobson and fascinating for the millions who watched history being made on television. The two-day finale was a mix of ups and dowgiving himself some breathing room from elimination, he was in second place as the second day of the final table commenced with just three players remaining. After about four hours of play, he held all the chips, overcoming what had until then been a dominant performance Jorryt Van Hoof, from the Netherlands. He managed to defeat Felix Stephensen, from Norway, in heads-up play, which lasted only about an hour. Remarkably, this marked the first time in WSOP Main Event history that three Europeans took each of the top three spots in the championship. In July at the Rio in Las Vegas, 6,683 players paid $10,000 each to enter the Main Event. After seven days and nearly 70 hours at the green felt, only nine players remained. 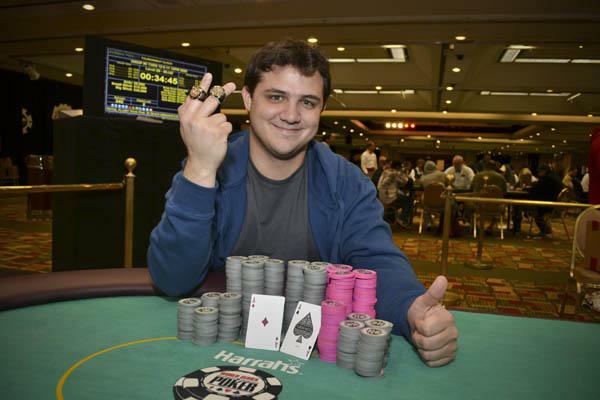 They took a four-month hiatus, and then returned to the table Monday evening to play for a first-place prize of $10,000,000 and the most coveted prize in the game -- the World Series of Poker Main Event gold bracelet, both of which now belong to Jacobson. "This is what I played for, this is all the mattered to me," Jacobson said afterward as he flashed the gold and diamond prize designed by Jason of Beverly Hills and valued at $500,000, but worth a lot more in terms of sentiment and personal accomplishment. The 2014 November Nine was an eclectic, multinational group. Six different nations were represented -- including the USA, Brazil, Spain, Norway, Sweden, and The Netherlands. There were several professional poker players, a previous November Niner (Mark Newhouse), and a world champion foosball player (Billy Pappas). In a tournament typically dominated by the host Americans, 2014 was the northern European players’ time to shine under the glaring lights of the ESPN stage, constructed inside the Penn and Teller Theatre, a place where magic happens almost every night. The same held true for poker. On Monday, after about 12 hours and 245 hands at the final table, six players had been eliminated, leaving only Jorryt van Hoof, Martin Jacobson, and Felix Stephensen (from Norway). It was the Dutchman Jorryt Van Hoof who dominated the first day of final table action. He carried a chip lead over from mid-July, and held onto it for most of the day. Other players—Stephensen and William Tonking—briefly took over the top spot on the leaderboard. However, Van Hoof always took it back. He steadily built his stack, and finished the day right where he started, with more chips than anyone else. However, as great as Monday was for the beaming Van Hoof, today was equally difficult. Van Hoof couldn't gain any momentum. Early in the day, he called an all-in bet from Felix Stephensen with the second-best hand, and that seemed to set the tone for his day. His chips slowly disappeared, most of them going to Jacobson, and after just over two hours of play on Tuesday, Van Hoof busted out in 3rd place. When the November Nine were determined in July, one of the biggest stories during the hiatus was Mark Newhouse’s repeat appearance. Newhouse had made the November Nine in 2013. In the seven years since the inception of the November Nine, Newhouse is the only player to have made it more than once, and the fact that he did so in back-to-back years makes the feat seem even more impressive. Even before the final table was played in November, the last person to make the Main Event final table in consecutive years was "Action Dan" Harrington, who accomplished the feat in 2003 and 2004. Harrington also won the Main Event in 1995, so Newhouse remains in good company. Last year, Newhouse finished in 9th place, and this year his aversion to finishing 9th again was well publicized. He said in interviews leading up to the championship, even before making the November Nine, that his goal was not to finish 9th again. He said he'd rather finish 10th than 9th. Unfortunately for Newhouse, he was eliminated in 9th for the second year in a row. Despite being the first player eliminated from the final table, Newhouse certainly remains on of this year's most amazing stories and will be a player to watch again next year. For fans and viewers, the off-the-felt stories this year were almost as compelling as the action on the table. One of the most fun to watch was the carnival atmosphere that followed Bruno Politano everywhere he went. Politano is the first Brazilian ever to make the Main Event final table, and he’s had the emotional and vocal support of a nation since even before the November Nine were officially determined. In July, when the final 27 were whittled down to 9, Politano had a loud, boisterous rail that virtually never stopped singing and cheering for their newfound hero. Politano even had a fan in a Scooby Doo costume. Since then, he’s garnered even more support. Last week, he released a youtube video featuring messages of encouragement from a variety of Brazilian celebrities, including Xuxa (Olympic swimmer), Thiago Camilo (race car driver), and soccer stars Neymar, Júlio César, and Kaká. On Monday, his rail returned in force (Scooby Doo included), and kept the decibel level high throughout Politano’s performance. He eventually bowed out in 8th place, and even then smile never left his face and his supporters were as lively and energetic as ever. The other fan favorite was William Pappaconstantinou, who goes by Billy Pappas (much to the delight of journalists everywhere). Pappas is one of the few true amateurs among the 2014 November Nine. He is a professional foosball player with 14 world championships and countless other titles. That profession seems apt for Pappas. He likes to play games. He likes to have fun. And it was obvious to anyone watching the final table Pappas was genuinely having fun. He arrived on Monday wearing the same grey hoodie and green Yoshi hat that became his trademark in July, when he first caught the attention of the poker world as he ran deep in the Main Event. And throughout his time at the final table, he never seemed as though the joy of the experience faded. It didn’t matter if he had fewer than 10 big blinds with 8 players left, if he was second or third in chips with five players left, or if he was all in and waiting on a river card to keep him alive—he was always enjoying himself. For everyone watching, Pappas offered a reminder that poker is a game, and anyone who makes a lot of money by playing a game is lucky in life, regardless of how the cards run out. In the midst of it all, otherwise intriguing stories almost got lost in the shuffle. For the first time in over a decade, a Spanish player graced the final table felt. Andoni Larrabe is the first Spaniard to make it this far in the Main Event since Carlos Mortensen won the tournament in 2001. Larrabe, who was the youngest November Niner this year at 22 years old, fell a few spots short of his famous countryman’s achievement, finishing in 6th place. 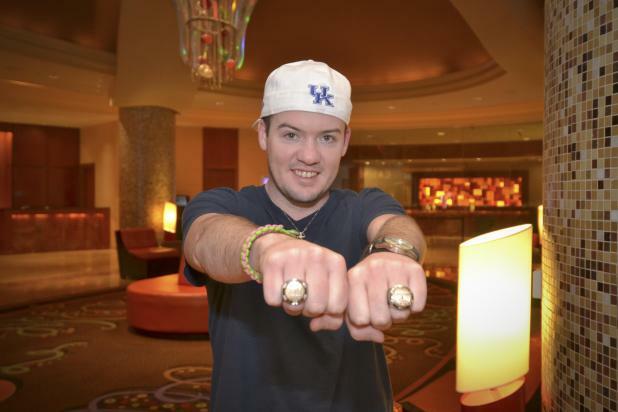 There was only one local Las Vegas player at his year’s final table, Dan Sindelar. Home-felt advantage has its limitations, though. Sindelar had some early momentum on Monday, but his progress stalled, and he ended up bowing out in 7th, one place behind Larrabe. And William Tonking just barely missed out on a rags-to-riches final table. He started Monday seventh in chips, just slightly ahead of the two players behind him. Despite his chip disadvantage at the start of the day, he took over the chip lead and was the first player above the 50-million mark. 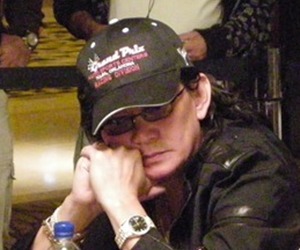 Unfortunately for Tonking, while his first few hours at the table were spectacular, his last few saw his stack slowly dwindle, and he eventually took 4th place. Tonking was the last American standing in this event, and his elimination guaranteed a European champion in 2014. 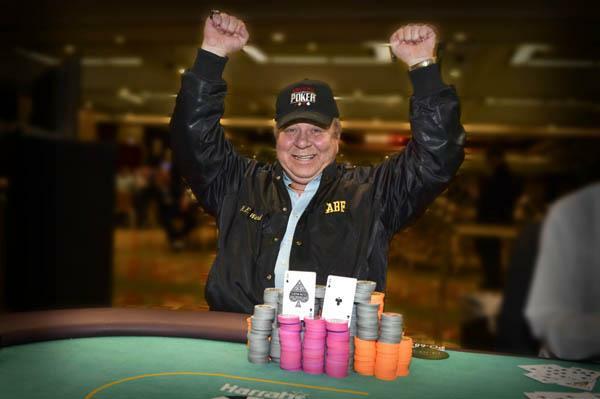 On Tuesday, Jacobson seized that crown that can only go to one poker player each year. He joins the elite ranks of Main Event champions invluding Doyle Brunson, Bobby Baldwin, Johnny Chan, Carlos Mortensen, Stu Ungar, and Ryan Reiss, who won the Main Event last year. "I played close to perfect, maybe," Jacobson said afterward when asked about his performance. "I don't think there's anything such as a perfect tournament, since you will always make some errors here or there. But I eliminated most of my mistakes, and played pretty well overall." That seemed to be the understatement of the year. Jacobson is a 27-year-old poker pro who was born in Stockholm, Sweden. He now resides in London, UK. His appearance at the championship final table was the first by a Swede since 2006. 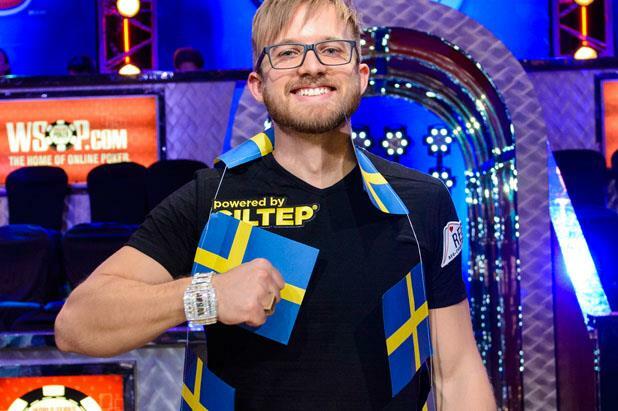 He's also the first Swedish world poker champion in the 45-year-history of the WSOP. It was fitting that on the final hand, in the tenth year that WSOP has been played at the Rio, the winner was dealt pocket tens on his final winning hand. A ten flopped, giving Jacobson trip tens, and the championship title. Oh, and the top prize was $10 million dollars. Call it karma. Call it perfection. And call Martin Jacobson the new world poker champion for 2014. About the author: Robert Kirschen is the Managing Editor of WSOP.com. He oversees the news, recaps, and other information on the World Series website, and spends much of his time on the road at WSOP Circuit events. He has been writing for the World Series of Poker since 2013.